What is machine data analytics? These, and many other similar sources, produce mountains of data in the form of log files, alerts, scripts, profiles, etc., and the goal of machine data analytics, is to this render this voluminous data useful by converting it into useful insights to monitor, improve, and optimize operations. Machine data analytics applies to a range of applications, where access and performance information can be used to draw insights. A security team, for example, might use analytics to detect threats in real-time by pinpointing anomalies in network access, allowing for quick action toward resolution. As another example, machine data captured from customer-facing sites and applications can give teams insights into customers’ interactions across multiple channels. Infrastructure teams, for instance, can track where customers are accessing resources, at what times user access is spiking or lagging, and how systems are performing at high-volume periods. This information can then be used to make improvements to improve the user’s experience and build revenue. Why Is Machine Data Important? As more and more businesses becomes increasingly software-centric, the ability to harness the power of machine data to drive intelligence and speed is paramount. This new world can be painful and difficult to get insights into business. How are our systems performing? Are there any bottlenecks? Will we need to scale up to handle increasing volume? Who is trying to access my systems? Where are they entering from? Who gets in and what do they do once logged in? Are there anomalies to address? Is there anything out of the ordinary? This makes it critical for organizations to continuously analyze this data effectively. Without machine data analytics, data isn’t consolidated, so diagnosing issues means manually checking logs on multiple systems. 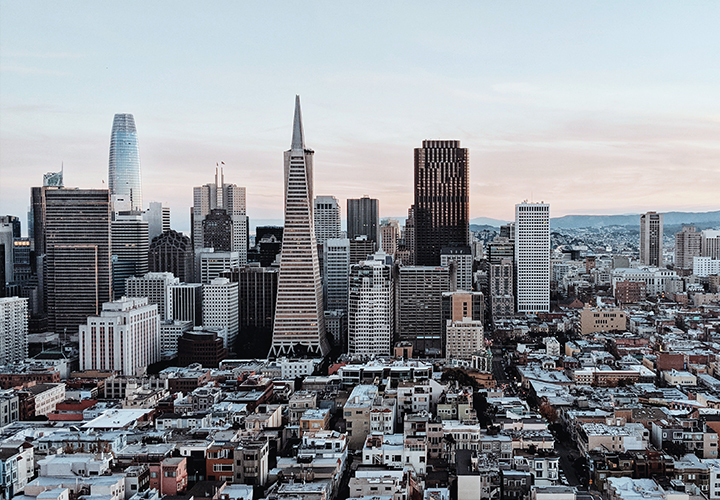 Continuous innovation means companies are building, running, and securing modern applications constantly, and delivering new, personalized services to customers faster than ever before. This new approach also is dependent upon cloud infrastructures and agile DevOps models to gain greater speed, agility, and scalability. 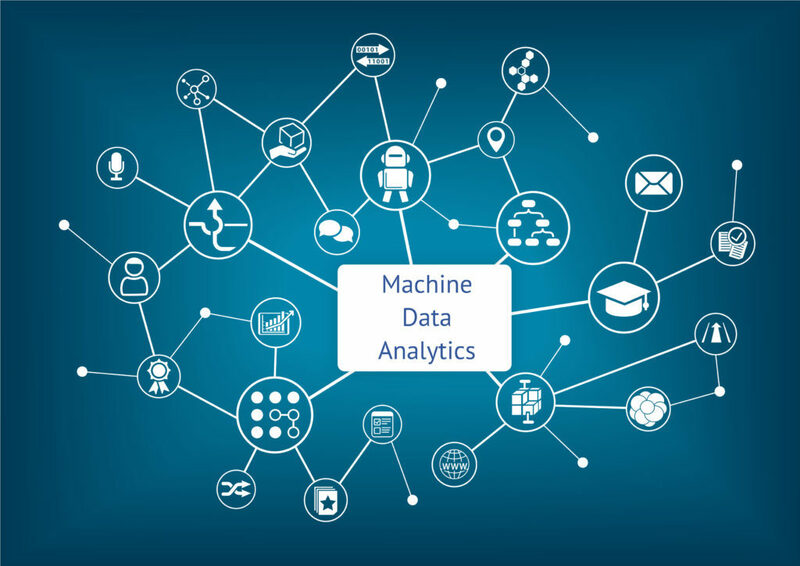 The success of these new modern applications also hinges on the ability to leverage machine data analytics capabilities as continuous intelligence. What Is Machine Learning in a Big Data Context? While data analytics helps professionals find insights from machine data, machine learning goes a step further. 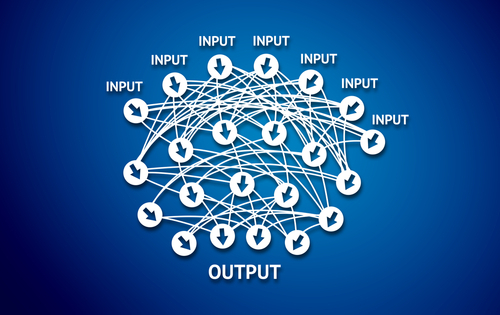 Using algorithms for iterative learning, machine learning enables computers to generate insights from the machine data they take in. In other words, it automates the process of machine data analytics. With machine learning, you can parse and organize large volumes of unstructured and semi-structured machine data from complex, modern applications. Prioritize application development efforts based your users’ behavioral patterns, including seasonality and cyclicality. Rapidly surface operational issues based on multi-dimensional comparisons, pattern extraction, and anomaly detection. Quickly identify threats that indicate elevated security risk and prioritize these threats without creating pre-defined policies or rules. Machine learning can be particularly useful for identifying anomalous activity that varies from recognized patterns. It also can help teams cut through the noise of overwhelming data and find areas where they can focus analytics efforts. Within a single organization, different teams will have different applications for machine data analytics. IT: Teams use machine data analytics to monitor and scale resources, troubleshoot performance and access issues, and minimize downtime, among other technical applications. DevOps: Log and machine data analytics services that use predictive algorithms, and can be seamlessly integrated with a host of DevOps tools, can improve continuous integration and continuous deployment processes. Analytics tools enable teams to understand error rates, failures, and other information in massive amounts of log and machine data. Cloud: Machine data analytics from AWS apps and other cloud sources can help companies accelerate the building, running, and securing of modern cloud applications achieve greater visibility into their workloads. Additionally, correlating data from multiple data sources and showing it in the context of time-series metrics provides a common source of truth for monitoring and troubleshooting. Security: Machine data analytics is well-suited to security tasks. Advanced analytics and machine learning can help improve threat detection models. Analysts are able to monitor systems in real time to identify issues, problems, and attacks before they impact customers, services, and revenue. Compliance: Machine data analytics can help organizations quickly and easily demonstrate that they retain all relevant activity logs and perform routine analysis, for industry-mandated compliance regulations like HIPAA or PCI DSS. The biggest problem with harnessing machine data is the sheer volume of data being generated. Raw machine data contains billions, if not trillions, of log and metric data points and is increasing in quantity at an exponential rate. The volume and velocity of this data growth can be difficult for single-tenant analytics solutions to handle. Additionally, machine data can come in a variety of formats and can be structured, unstructured, or semi-structured. Sumo Logic, a cloud native machine data analytics service, enables you to centrally store your logs and analyze them in real-time. It provides industry-leading machine learning analytics and pre-built searches for many popular services and technologies so you can easily gather insights in minutes. Known unknowns: Analyzing and answering questions you know to ask about your infrastructure. Known unknown analysis typically includes iterative search, alerting, and visualization. Unknown unknowns: Gaining insights even when you don’t know what questions to ask. This scenario is where machine learning comes in with automated, algorithm-driven predictive analytics. To apply machine data analysis to your environment and turn the unknowns unknowns into knowns, try Sumo Logic for free today!